Welcome to MBSP, a leading authority on pain management and minimally invasive surgical treatment of brain and spine conditions. New patient? Please read MBSP New Patient Information. Please note that we cannot accommodate walk-in visitors. What do I need to bring for an office visit? We kindly ask that you complete medical and authorization forms before seeing us in order to make your visit as seamless as possible once you arrive. Please note: If you do not arrive in time to complete the medical intake and check-in process, you may be asked to reschedule your appointment. Can I fax my health information? Yes, you can. Please fax your documents to MBSP at (410) 224-0209. 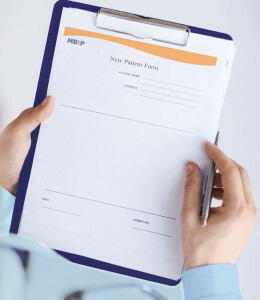 We also accept documents emailed to info@mbsp.com, and those dropped off at our locations. For Brain Related Visits – What are my non-surgical and surgical options? What will happen if I do nothing? How is my condition affecting other parts of my body? If I have to have surgery, what is the procedure like? How long will I be in the hospital? What will the recovery process be like? For Spine Related Visits – What are the ‘dos’ and ‘don’ts’ of how I should be functioning? Should I be walking? Driving? Should I be sleeping in a certain position? What are my non-surgical options? Would a cane or a walker help me? What exercises should I do or not do? Would physical therapy help me? If I elect to have surgery, what will the procedure be like? What is the recovery process like? For Back Pain Related Visits – Can some serious conditions be causing my back pain? If so, which ones and what are their symptoms? Have they been ruled out? What will worsen my back pain? Are there things I can do at home or in my life to reduce my back pain? Is medicine necessary? Are there alternative treatments? If medicine is needed, how does the medicine work? How long can I take medicine? What are the side effects? Is long-term use harmful? How will having back pain affect me? Can other problems develop? What, if any, special accommodations do you recommend for school, home, or work? How often do I need to come for an office visit? Yes. Both the main entrance to the building and the parking garage are handicapped-accessible. Please make sure you display your handicap parking tag or have a license plate designated for handicapped persons. If surgery has been recommended, our surgical schedulers will check your benefits to determine what your financial responsibility will be. They will then call you to schedule surgery. If you desire to continue with the surgery, call our surgical scheduling office at (410) 266-2720 to schedule your surgery. One of the MBSP schedulers will make an appointment for you to see our respected pain management specialist, Dr. Tushar Sharma. 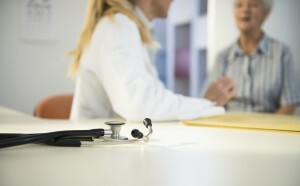 In all cases, you and your referring physician will be provided with a written report of our recommendations. To schedule an appointment, or get answers to your questions, call (410) 266-2720.